The Montessori Method of education is a model which serves the needs of children of all levels of mental and physical ability as they live and earn in a natural, mixed-age group, which is very much like the society they will live in as adults. Montessori practice is always up-to-date and dynamic because observation and the meeting of needs is continual and specific for each child. When physical, mental, spiritual, and emotional needs are met, children glow with excitement and a drive to play and work with enthusiasm, to learn, and to create. They exhibit a desire to teach, help, and care for others and their environment. The high level of academic achievement so common in Montessori schools is a natural outcome of experiencing such a supportive and hands-on classroom. Dr. Montessori believed that children would freely choose work as long as the environment was carefully prepared and inviting. Through her observations, she found that optimal learning happened when the environment was well organized and free from clutter. Dr. Montessori’s understanding of the scientific method, medical background, and lifetime focus on how children learn culminated in the revolutionary education philosophy that is still used throughout the world today. 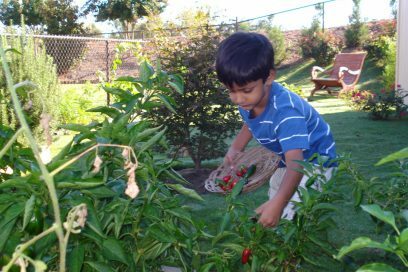 In accordance with Dr. Montessori’s philosophy, the environment at Montessori Kids Academy is carefully prepared and maintained to encourage, facilitate, and empower each student to pursue a love of learning and construct his or her own unique and individual intelligence. In order to meet the changing needs and interests of the students, the classroom arrangement is intentionally dynamic in its composition and structure. This carefully prepared environment, along with appropriated freedom of movement and social interaction within the classroom, empowers children by encouraging individual exploration. Montessori Kids Academy is an authentic Montessori school. Each classroom is staffed by Montessori trained and certified teachers. Each classroom is filled with Montessori materials and is organized in a logical and student-friendly manner. Materials are sequenced on the shelves. The environment in neat and orderly. The classrooms are calm. The children work independently and the desire to promote academic excellence in a caring, nurturing environment is upheld. The aim is to foster competent, responsible, and adaptive citizens who are lifelong learners and problem solvers. Learning occurs in an inquiring, cooperative, nurturing atmosphere. Students increase their own knowledge through self-initiated and teacher-initiated experiences. Students learn by manipulating materials and interacting with others. These meaningful experiences are precursors to the abstract understanding of ideas. The individual is considered a whole. The physical, emotional, social, aesthetic, spiritual, and cognitive needs and interests are inseparable and equally important. Respectful and caring attitudes for oneself, others, the environment, and all life are necessary.